Warning: Spoilers follow for Donnie Darko and Arrival. What if you could go back in time and change something stupid you did? Or see how your great-great-grandparents lived? What if you could change history or even save the world? What if you could see what the future is like? Time travel is appealing: even though it is probably not possible (as far as we know), it’s a long desired dream of almost everyone and a much used narrative tool within cinematic storytelling. But a lot of time travel films seem to have the same message about time travel: don’t do it because it will only cause problems, or don’t do it because you can’t change anything. In Donnie Darko (2001) and Arrival (2016), time travel is actually a solution, the only solution, to problems. In these films, time travel is used so Donnie and Louise can save the world. Even film as a medium can be seen as time travel: it’s a window to history, the future, or another world. But also within the stories of those movies time travel is part of the films: in science fiction films like Primer (2004), 12 Monkeys (1995), The Time Machine (1960) or romance movies like About Time (2013), The Time Traveler’s Wife (2009) or The Lake House (2006). But also in films that only reveal later in the story to be about time travel, like Planet of the Apes (1969), Arrival and Donnie Darko. Some of them are more about the concept of time travel, like Primer, 12 Monkeys, or Back to the Future. Primer is about the physics of time travel and the paradox of the self: at one point there are uncountable versions of the main characters and the only solution is to go back in time and stop them from building a time machine in the first place. The same paradox is used in Los Cronocrímenes (2007) and Triangle (2009). 12 Monkeys (and the short film La Jetee it’s based on) focuses on the predestination paradox which in turn is a temporal paradox. That means that a future event is the cause of a past event and that past event is also the cause of a future event. The predestination paradox is also shown in Harry Potter and the Prizoner of Azkaban (2004) and the recent film Predestination (2014) and states that everything happens the way it’s supposed to: you can’t change anything in the future or the past. 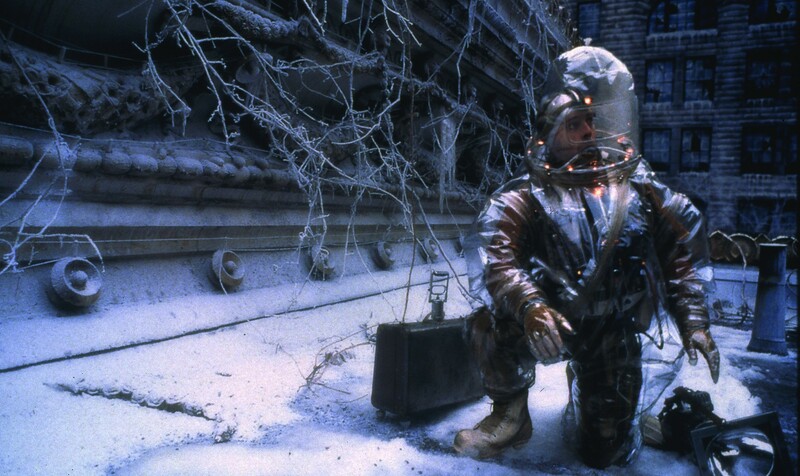 Then, of course, there is the ultimate time travel flick Back to the Future, which deals with the grandfather paradox. This paradox happens when you travel back in time to change something, like killing your grandfather, but therefore other things can’t happen, like the birth of your father or mother, therefore you don’t exist, therefore you can’t have gone back in time to kill your grandfather. This is what happens in Back to the Future, where Marty McFly accidentally prevents his parents from dating so he and his siblings won’t be born. Marty then tries to change this error, but only makes things worse. The Butterfly Effect (2004) and About Time use this same paradox. All these movies are foremost about time travel and are also philosophical. They make you wonder not only about time travel itself and the possibility of it, but also about the questions I asked earlier. What if you could talk to another version of yourself? What if you could correct an error in the past? Just like most science fiction movies, time travel cinema makes the viewer think about society, history, the future and their own place in the world. However, the meaning of most of those time travel movies in regards to time travel is: don’t try to change the past (or the future) because you’ll screw things up. Or: you can’t change anything because everything will happen the way it’s supposed to happen, everything is predestined. Time travel is something to be explored, but is almost never a solution, at least in these films. This is where I would like to talk about two films that use time travel in different ways. In these films, time travel is not the main topic of the film, although it is very important for the story line. Those films only reveal later, or at the very end of the film, that time travel is essential. By essential, I don’t mean for the movie per se – because Back to the Future without time travel of course would be nothing, but essential in sense of the story. In Donnie Darko and Arrival, time travel is essential to the story. Of course, there are other movies in which time travel is used differently. Like in Planet of the Apes or The Lake House, time travel is merely a tool for a set-up. In Planet of the Apes it is revealed at the end that the main characters haven’t been traveling to another planet, but have gone back to earth, and have traveled to the future, where everything has changed and the planet has been taken over by apes. It isn’t as much about them traveling in time, as it is about discovering what has happened to earth and how humans have acted. In The Lake House, time travel is a tool for a romantic set up. It also isn’t about time travel: it’s a metaphor for people who love, but can’t be near each other because they live in different times. However, in Donnie Darko and Arrival time travel is essential, because time travel helps the main characters save the world. Donnie Darko (Jake Gyllenhaal) and Louise Banks (Amy Adams) are the main characters of Donnie Darko and Arrival. They are both visited by someone from the future and are chosen to save the world. Donnie Darko is lured out of his bed by a young man in a rabbit suit, it is later revealed that his name his Frank. He warns Donnie, and Donnie alone, that the world will end in 28 days, 6 hours, 42 minutes and 12 seconds. 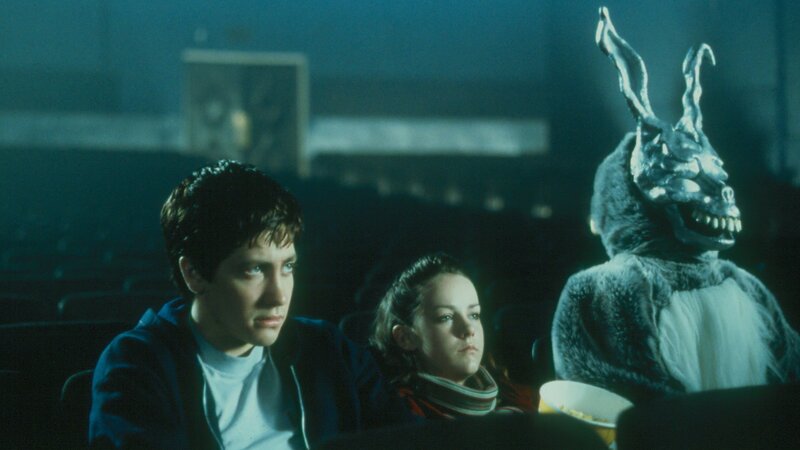 In the universe of Donnie Darko, there has been in error in time and now the world will end because everyone now lives in the ‘tangent universe’. Donnie, a troubled teenager diagnosed with schizophrenia, is chosen to be the savior and needs to go back in time, so the ‘primary universe’ will be restored. While meeting with Frank, a plane engine falls in Donnie’s room. In 28 days, a wormhole will open, and an artifact faster than the speed of light will restore time, but only if Donnie does that. Frank gives Donnie the instructions and powers he needs to save the world. In the end of the film, Donnie saves the primary universe, but is killed because of the engine falling in his room. Louise Banks is a linguist chosen to talk to spider-like aliens. The aliens have traveled from another planet back in time to give a weapon or present to earth. It is later revealed that that present is a language to see time as a circle: everyone who learns the language, like Louise does, can see into the future, and the past. Louise knows everything that will happen in the future, even the death of her daughter. Time is not predestined, Louise can choose to not let her daughter be born. But she already loves her so she chooses to give her life. A big difference with the other films discussed earlier, is the fact that Louise and Donnie are both not the ones ‘time traveling’, or at least not at first. They are both visited by others from the future. At the same time, time travel is essential for the narrative in these two films. In the films I mentioned earlier, from Back to the Future to 12 Monkeys and Primer: time travel is the subject of those films, it is the starting point. The main characters travel through time, which causes paradoxes and problems. In Arrival and Donnie Darko, that’s not the case: time travel is the solution, the only option to save the world. 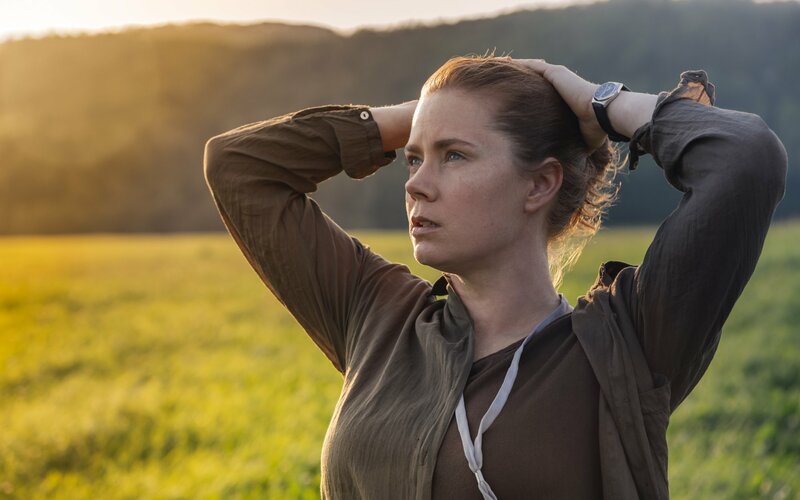 Even more so in Donnie Darko, because Arrival does reflect on society: it advocates everyone around the world working together and teaming up in order to maintain peace. It also asks the question if it’s really a good idea to know everything. In Donnie Darko, time travel literally is the solution from letting the world come to an end, although it costs Donnie his life. Both Donnie and Louise are heroes, or saviors, they save the world, and it’s all thanks to time travel.